The hotel restaurant offers half-board service from May to the end of September, upon request. The cost for each meal is € 22 per day for adults and € 10 for children under 10 years. There is an indoor restaurant or, weather permitting, you can eat on the poolside. A light lunch is available with a choice from a special menu from 1.30 p.m. to 2.30 p.m..
Our cuisine is typically Italian (from Campana and Lucania), depending on the Mediterranean diet a modern nutritional recommendation inspired by the traditional dietary patterns of some of the countries of the Mediterranean Basin including Cilento area. 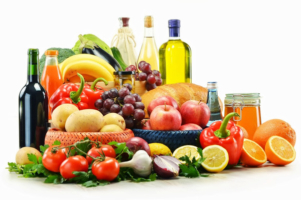 The American Doctor Ancel Keys, with his book “Eat well and stay well, the Mediterranean way”, was the first to note the benefits out products give to the organism. Fresh products bought day by day after our Guests approved the menu. Fruit, vegetables, aromatic herbs, cereals, fish, meat, meat products, Olive oil and Wine are just few products used in our cuisine. 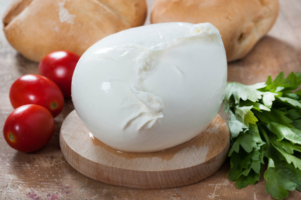 Mixed among them with knowledge, they create our special daily dishes together with other local products such as Buffalo Mozzarella from Paestum and other products strictly from our area. Blue Fish from Cilento Coasts: fish arrive fresh everyday on our table. 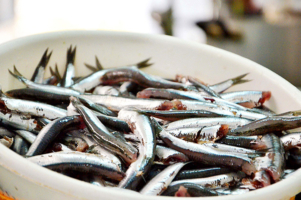 Sardines, Gilthead, are just some of typical “blue fishes”, so called because of the colour of their skin, abound in our seas and they are the base of healthy second dishes or main ingredients for our main courses or typical food preparation. Mozzarella e altri prodotti Caseari di Bufala: The myrtle grows wild and florid in the woods of Cilento. In the past, the Cilentani used to wrap it in myrtle branches; hence the mozzarella with the mortella. The contact with the myrtle gives a particular flavor and greater acidity than the classic mozzarella. The mozzarella thus produced is packaged with myrtle sprigs tied with broom sprouts or other herbs. It is a table cheese very suitable as an appetizer to be tasted accompanied by a good wine (Cilento Bianco, Fiano). 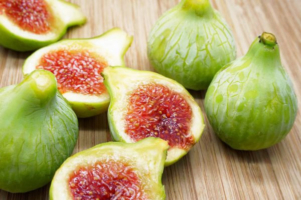 Vegetables and Fruit: tomatoes, artichokes, aubergines, courgettes and other vegetables from the land available on due season to prepare vegetarian dishes after your indications. 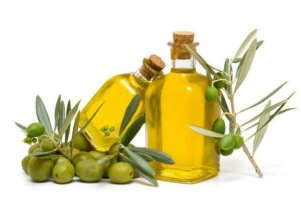 Extra virgin Olive Oil: the Extra Virgin olive Oil from Cilento has very antique roots. There are different kind of olive trees: Pisciottana, Rotondella, Ogliarola, Frantoio, Salella e Leccino. The olives are carefully picked by hand instead of using the machines and nets that make the job much quicker and less labor-intensive. The olives are carried quickly to the press to make sure they become oil in the bottle before the end of the day they are picked. That is what make an olive oil a Extra-Virgin DOP (protected origins). Our cellar promote the best local and Cilento wines that have nothing to envy to the best-established brands on the market, apart the most known regional and national brands at convenient prices. The charming and uncontaminated territory of Cilento e Vallo di Diano National Park includes two wine designations of the interesting wine growing panorama of Campania. The designations are relatively recent, but without a doubt bound to gradually connote the rural landscape and to create a very significant development trend. The designations interesting this production area are: DOC Castel San Lorenzo and DOC Cilento. 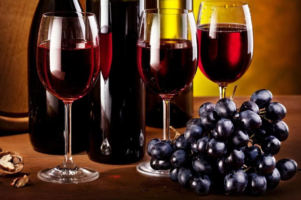 They safeguard the production features of these areas, with grapes characterizing the area for decades and therefore traditional, like Barbera, Sangiovese, Trebbiano, and Malvasia. Moreover, they grow together with local grapes like Aglianico, Greco, and Fiano, locally called Santa Sofia. The controlled designation of origin Cilento includes a large territory in the province of Salerno (58 Municipalities). It was established in 1989 to safeguard a considerable number of wines produced in the area with grapes widespread in Campania since the Roman Age. Besides Aglianico, we have White, Rosé, and Red wines.